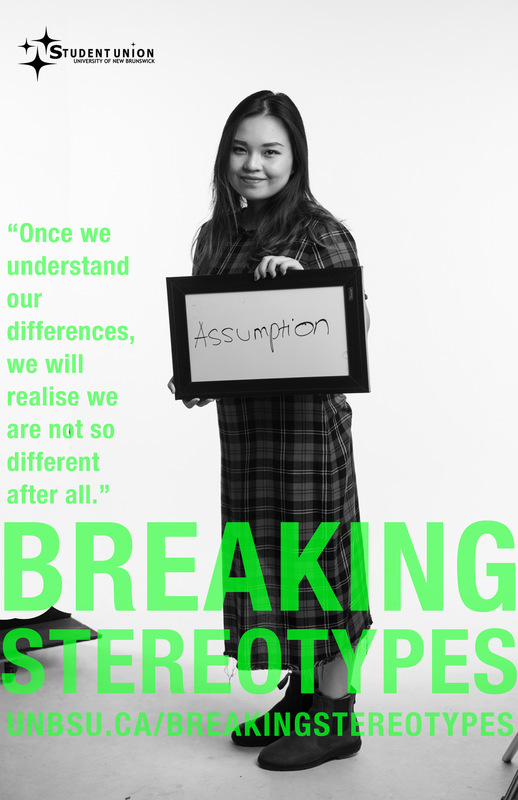 The Breaking Stereotypes Campaign is a project designed by the UNB Student Union to promote inclusion, acceptance, and diversity. 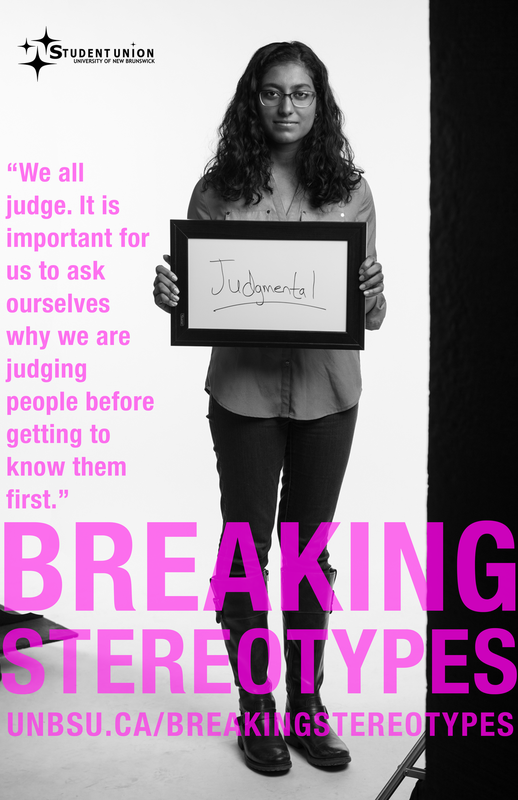 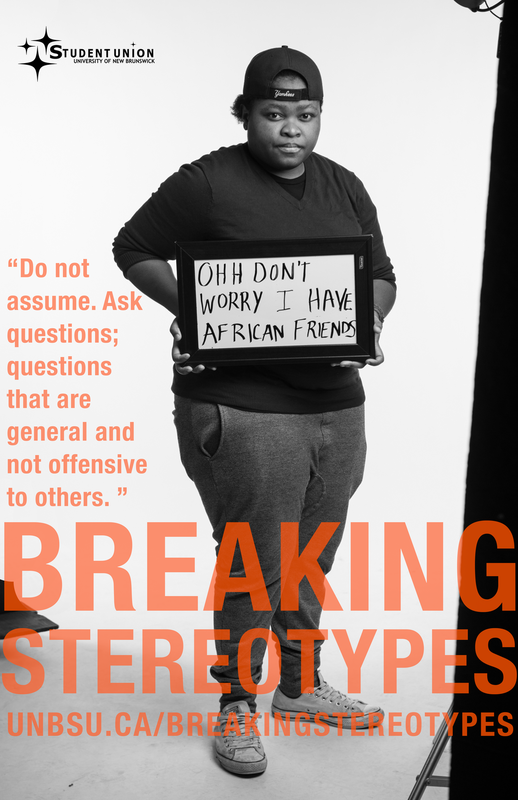 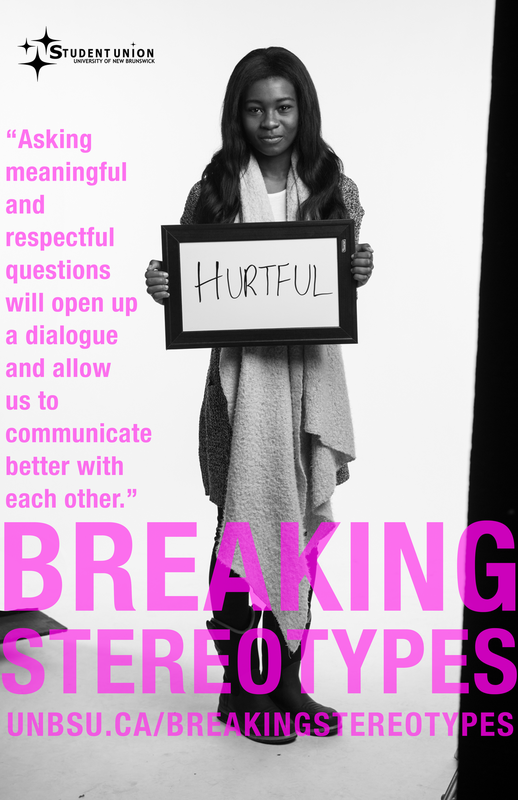 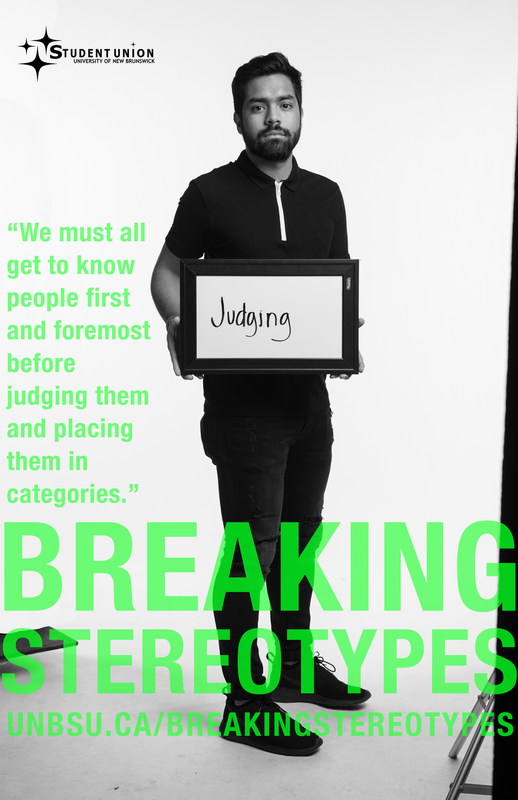 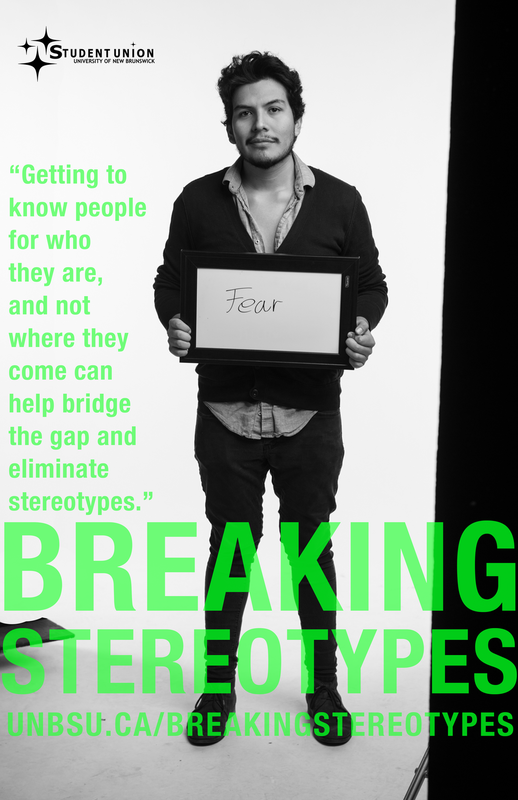 The first annual Breaking Stereotypes campaign focuses on race and diversity relations. 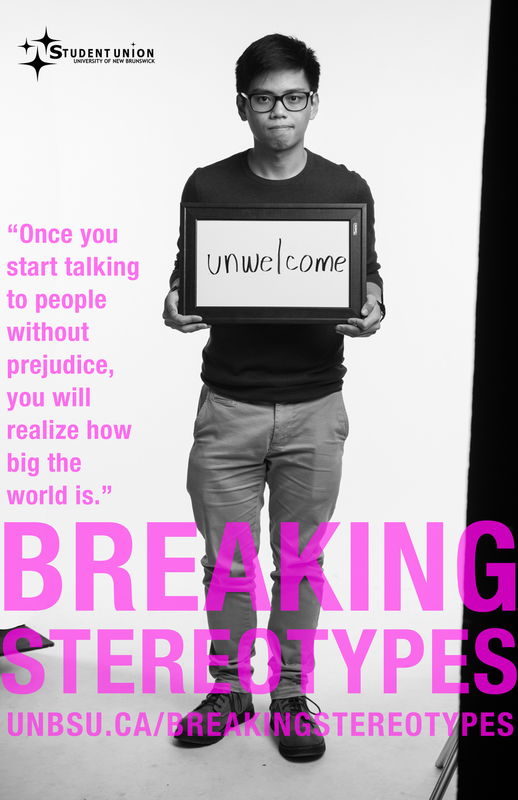 The campaign features undergraduate students who are international students, minorities and first generation Canadians. 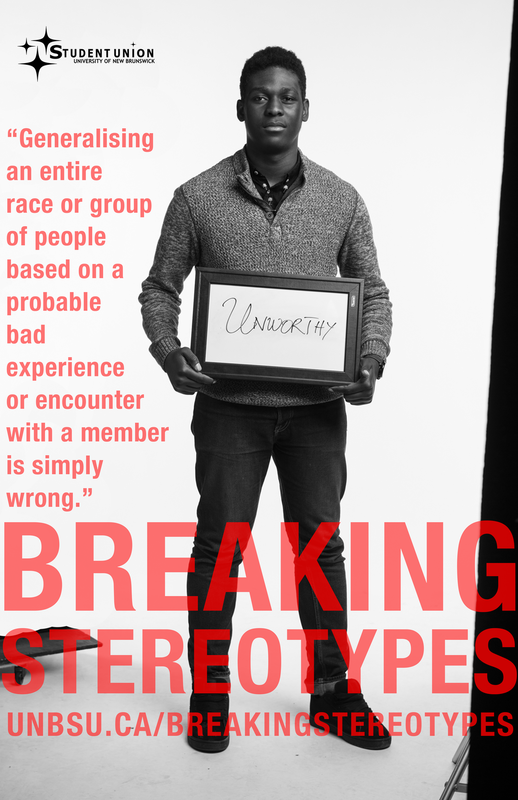 The ambition is to combat and debunk misconceptions that are associated with these groups in our community. 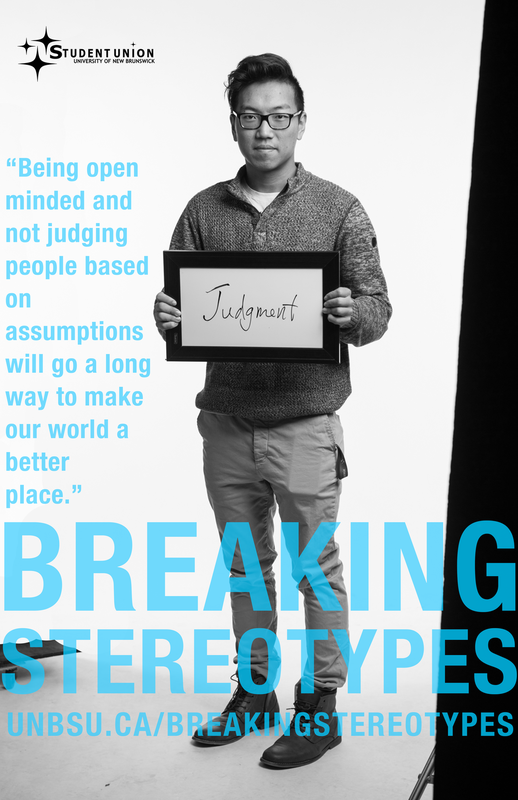 The components of this project features a film and posters that will be displayed in the Student Union Building lobby and across campus. 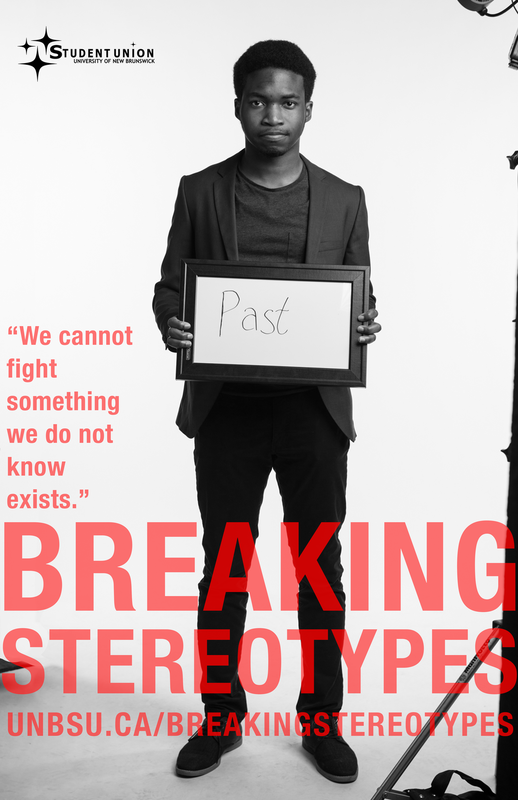 Check out the faces of the campaign below. 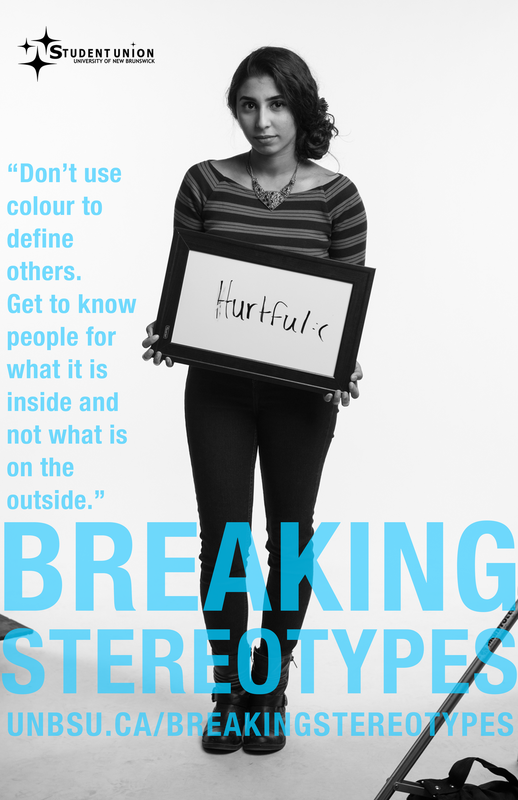 Be sure to join us on February 9th for the film launch and a panel discussion about inclusion in our community. 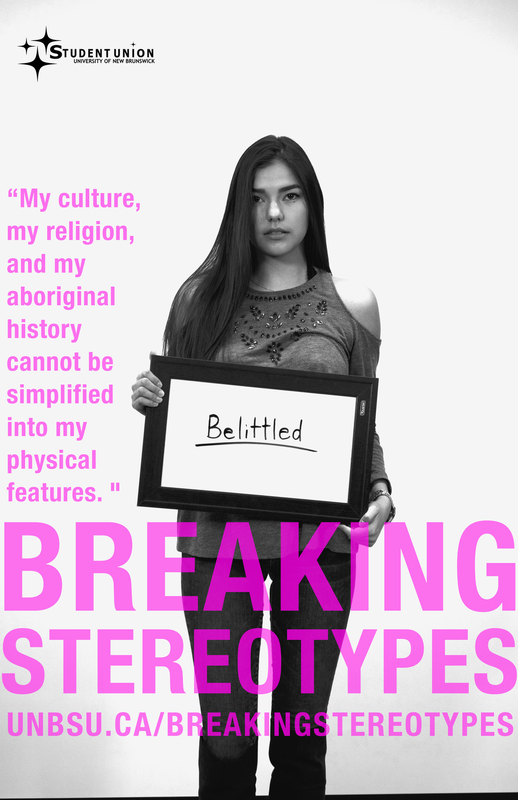 Click on the link below to see the facebook event and join us for the campaing launch.